Pizza. Spaghetti and meatballs. Are these beloved foods Italian or American? 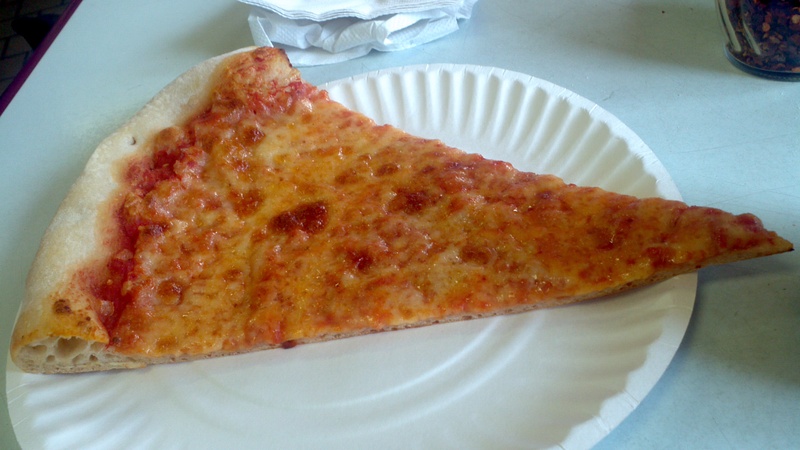 Italy declares pizza from Naples the only true pizza, but what about New York, New Haven, and Chicago pizza? The media says spaghetti and meatballs isn’t found in Italy, but it exists around the globe. Worldwide, people regard pizza and spaghetti and meatballs as Italian. Why? Because the Italian immigrants to the United States brought their foodways with them 100 years ago and created successful food-related businesses. But a new message is emerging–that the only real Italian food comes from the contemporary Italian mainland. However, this ideology negatively affects Italian Americans, who still face discrimination that pervades the culture–from movies and TV to religion, academia, the workplace, and every aspect of their existence. In Authentic Italian, Italian-American food writer Dina M. Di Maio explores the history and food contributions of Italian immigrants in the United States and beyond. With thorough research and evidence, Di Maio proves the classic dishes like pizza and spaghetti and meatballs so beloved by the world are, indeed, Italian. Much more than a food history, Authentic Italian packs a sociopolitical punch and shows that the Italian-American people made Italian food what it is today. They and their food are real, true, and authentic Italian. Periodically, there’s an article about how Little Italy is dead or dying. Yes, it’s more of a tourist destination and less of a neighborhood where Italian people live. 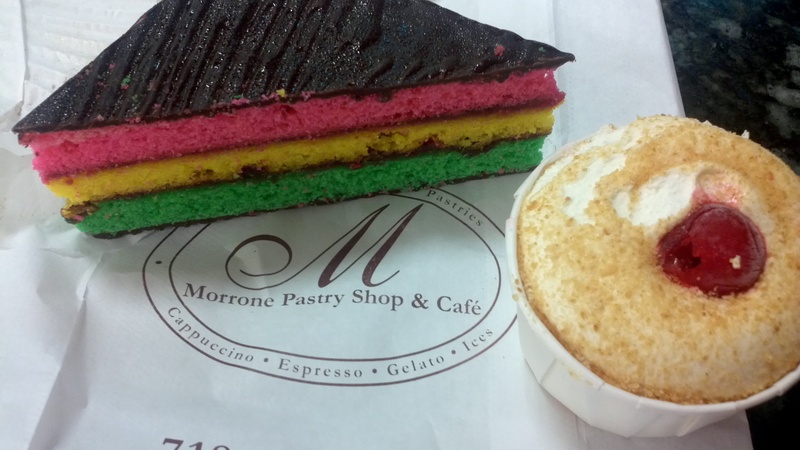 There are still some Italians there, and there are Italian-American-owned businesses there. A recent article in the New York Times made me want to write a series on Little Italy Isn’t Dead and feature some of the businesses there. In 1919, Italian immigrant Gregorio Garofalo opened Puglia, named after the region in Italy where he was from. The restaurant used to serve Italian specialties like capozello (sheep’s head) and tripe, but now its menu includes more standard and popular Italian favorites. Puglia is known for its entertainment. It’s a good stop during the San Gennaro festival too. 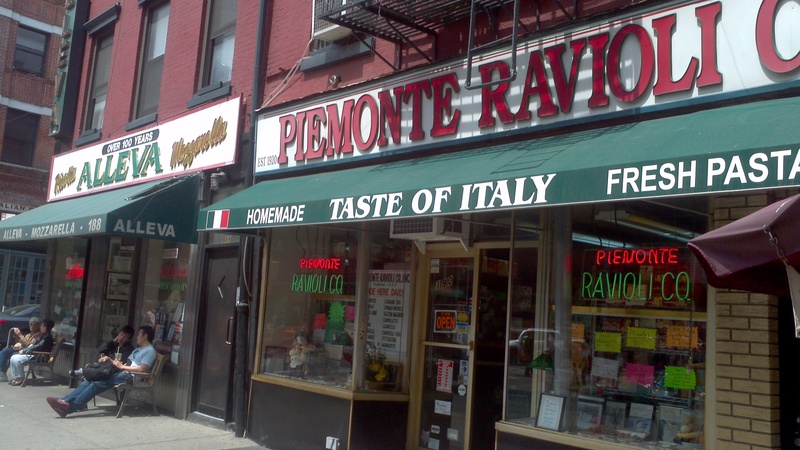 Piemonte Ravioli was opened in 1920 by a Genoese immigrant with the last name of Piemonte. In 1955, Mario Bertorelli from Parma bought it. Today, it is run by him and his son, Flavio. The store has a plethora of fresh and dried pasta. They tell photographers James and Karla Murray in Store Front that they use the original recipes from the Piemonte family. They use cheese from Alleva Dairy, and they make their own pasta sauces from their family recipes. Piemonte is also housed in a landmarked building. 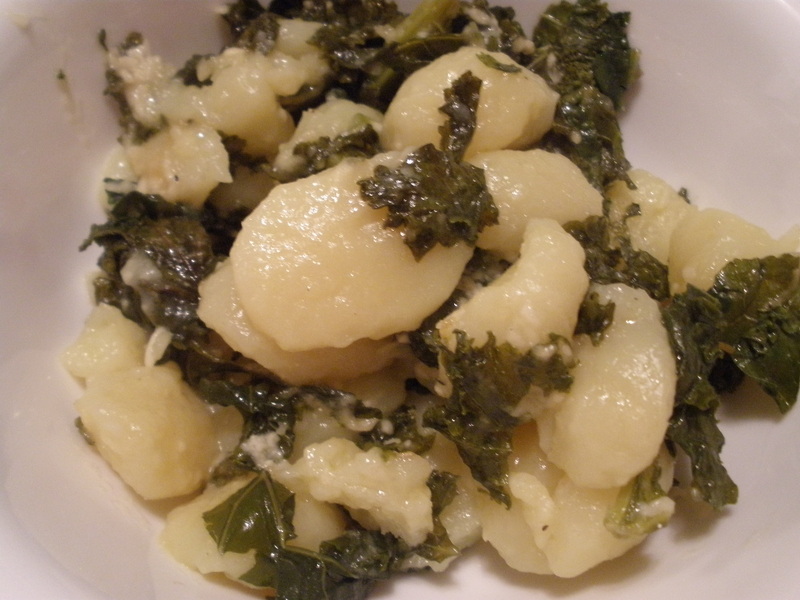 Gnocchi are fast and easy to cook for dinner. Recently, I saw a gnocchi recipe in the December 2013 Food Network magazine and made it along with one of my long-time favorite gnocchi recipes. The Food Network recipe isn’t posted on its site yet, but all it is is baking a package of gnocchi with olive oil, kale and parmesan cheese (I used pecorino romano). It’s really good. 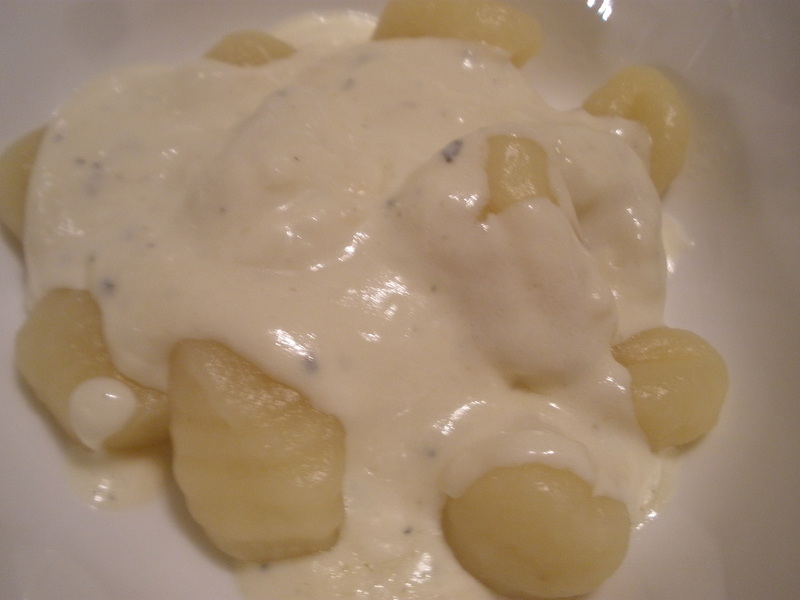 My favorite gnocchi recipe is gnocchi with gorgonzola sauce. 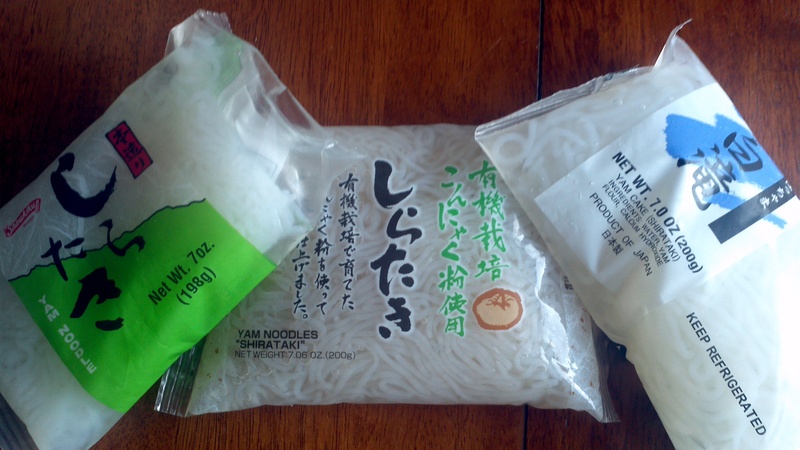 I’ve seen shirataki noodles in women’s magazines touted as the zero-calorie noodle for pasta lovers. I figured I had to try it. I found it at the Japanese grocery Sunrise Mart. It is made from yam flour. (There are versions made from tofu, but shirataki is made from yam flour.) One of these brands says it is 0 calories, 0 fat and 0 carbs. However, other brands say there are 10 calories per serving and 3 grams of carbs per serving (2 of those fiber). In one bag, there are two servings, so that would be about 20 calories and 6 grams of carbs (4 of fiber). If you look at the nutritional value of various spaghetti brands, you will see that 2 ounces of dry spaghetti is 210 calories and 42 grams of carbs (only 2 of those fiber). These noodles do have a fishy-type smell, but that goes away once they are rinsed in water. Boil them for about 3 minutes in boiling water. 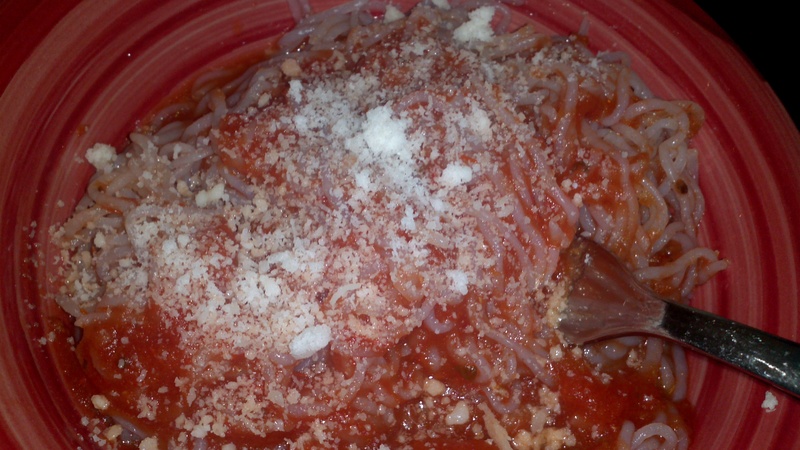 I served them like spaghetti with tomato sauce and pecorino Romano cheese. I thought they tasted good–almost like I was eating a plate of spaghetti. The only difference was the texture of the noodle. It’s a hard-squish al dente, not sure how else to describe it. It reminded me of making spaghetti squash spaghetti, but it’s definitely a noodle not thin strands like the spaghetti squash. I do think it’s filling, and I also think it’s a great substitute for pasta/noodles if you are counting carbs, cutting back or trying to avoid gluten or wheat. 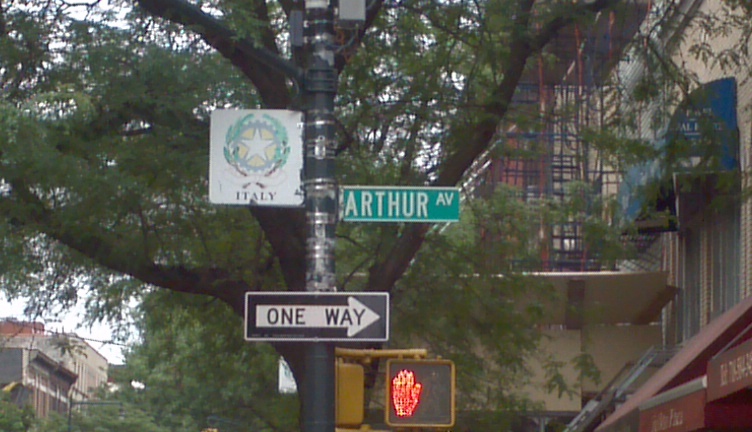 Arthur Avenue, the Little Italy of the Bronx, is the only real Italian neighborhood left in NYC. If you’re looking for an authentic Italian American experience, this is the place to be. However, it’s not so easy to get to. It’s a long, hilly walk from the subway. Or if you take a cab, the cab driver will not know where it is. I know cab drivers are supposed to know where to go in the boroughs, but they don’t, especially in the Bronx and Queens and sometimes, Brooklyn. I suggest you have directions or your phone GPS on hand to assist the driver. The main strip is Arthur Avenue from East 184th Street to East 187th Street. 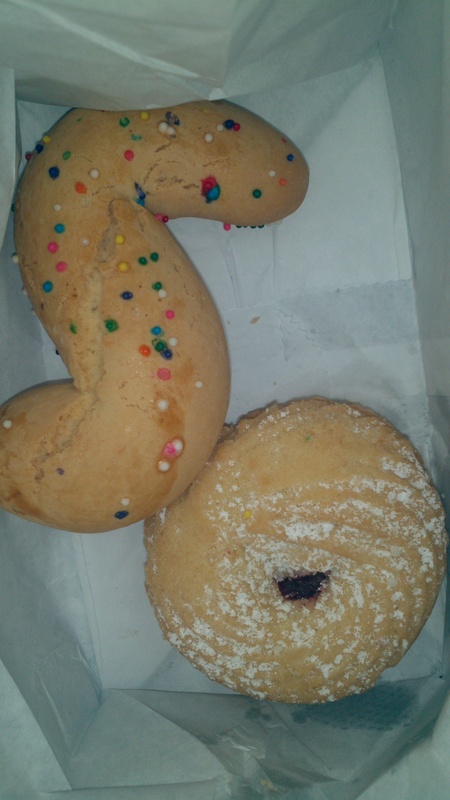 On East 187th Street, there’s Artuso’s Pastry, the home of the famous Pope cookies. In case you are looking for them, the Pope cookies were made for Pope Benedict’s visit to New York and his recent resignation, but they do not have Pope cookies now. Visit Our Lady of Mount Carmel Church. 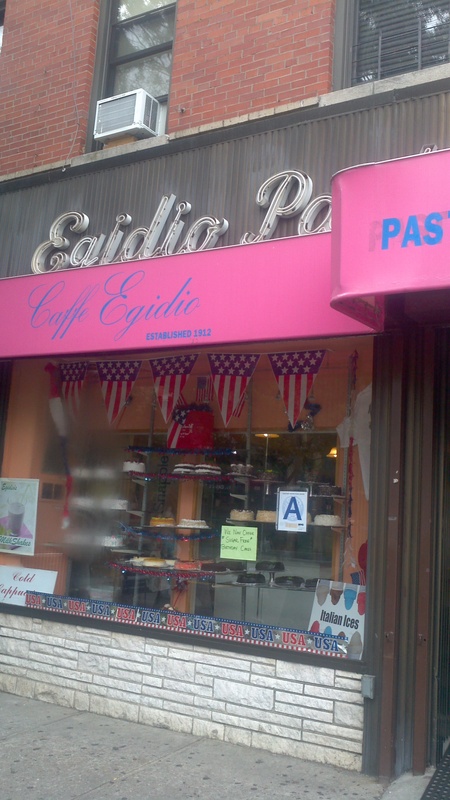 Walk west to Egidio Pastry and admire the case full of beautiful pastries. 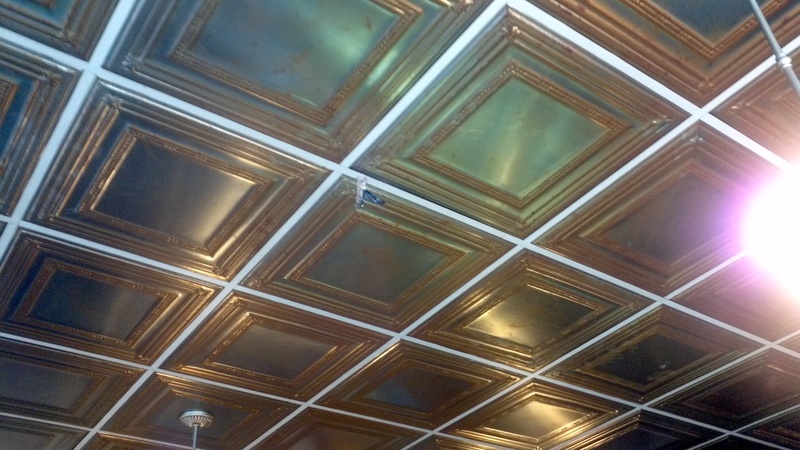 The history of the building is evident with its tin ceiling. 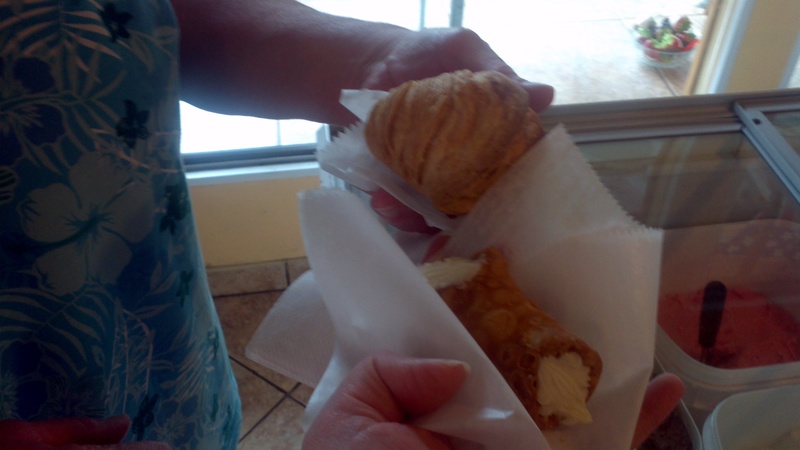 Here, we tried a mini cannoli and a mini sfogliatelle. They were both very good, but the sfogliatelle was particularly well crafted with flaky layers. 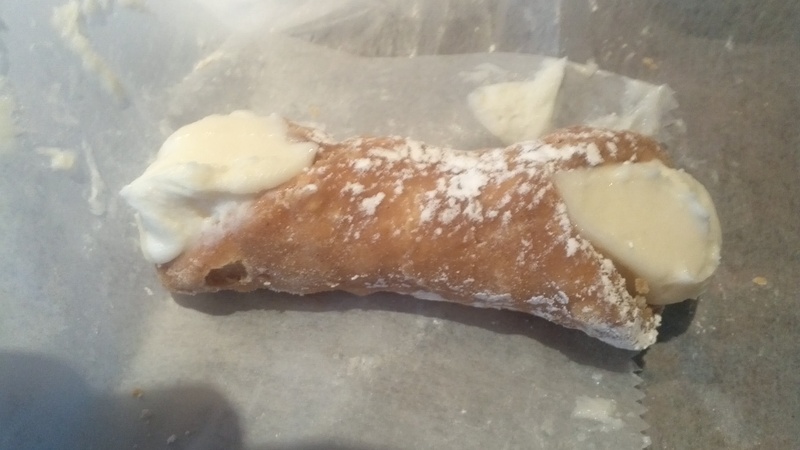 DeLillo Pastry has outdoor seating and a mighty fine cannoli with creamy ricotta filling. There are a lot of bakeries on this small strip, so if you are doing a tasting, be prepared to eat a lot or to take some home. I brought my rolling backpack so that I could easily bring things home with me. In addition to bakeries, there are ravioli/pasta shops, seafood markets, meat markets, cheese shops, pizzerias, Italian restaurants and kitchen stores. 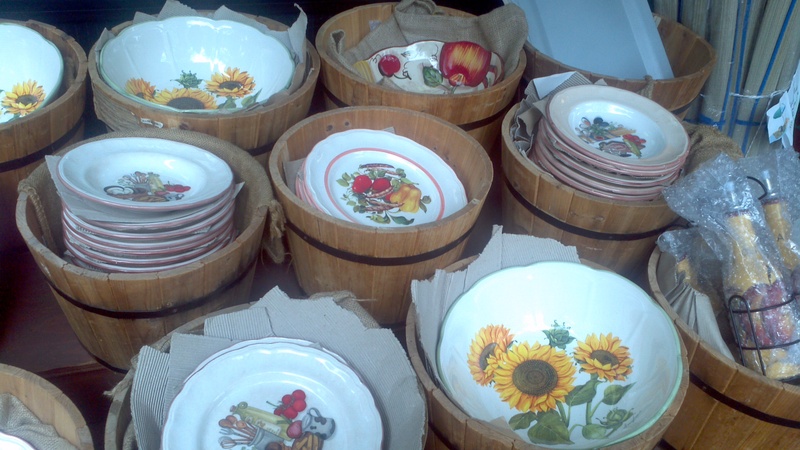 At Marie’s, you can get dinnerware and housewares, as well as coffee, from Italy. 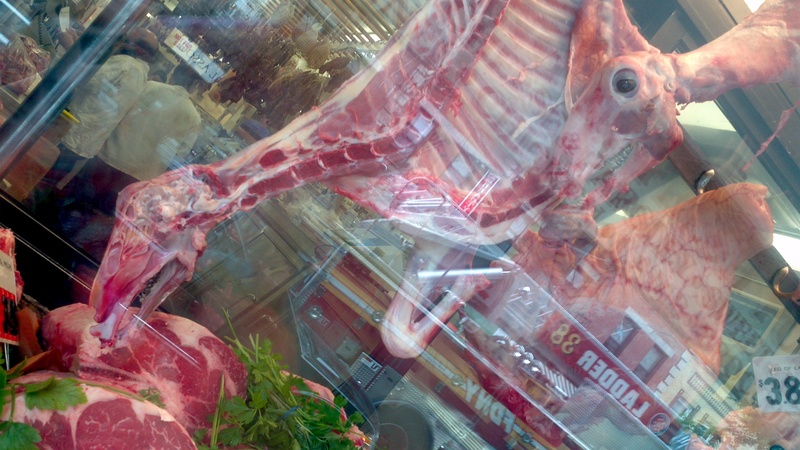 OK, vegetarians in the crowd will not want to look at the next photo–the body of a sheep hanging in the window of a meat market. 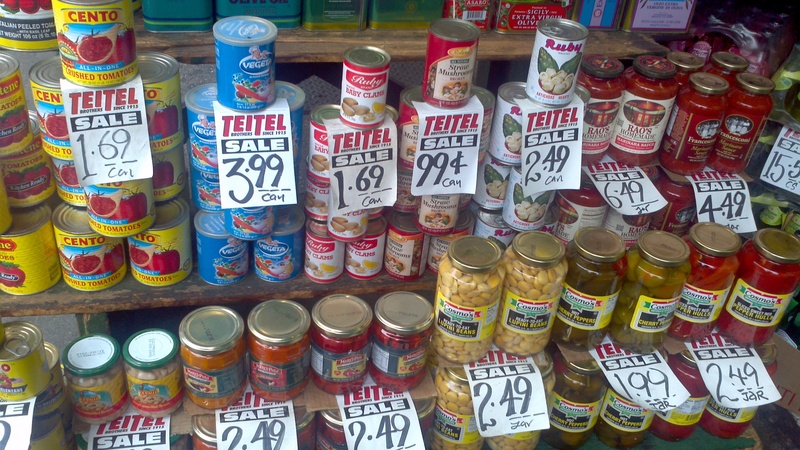 Teitel Brothers is an Italian grocery store owned by a Jewish family that has been in the neighborhood since 1915. 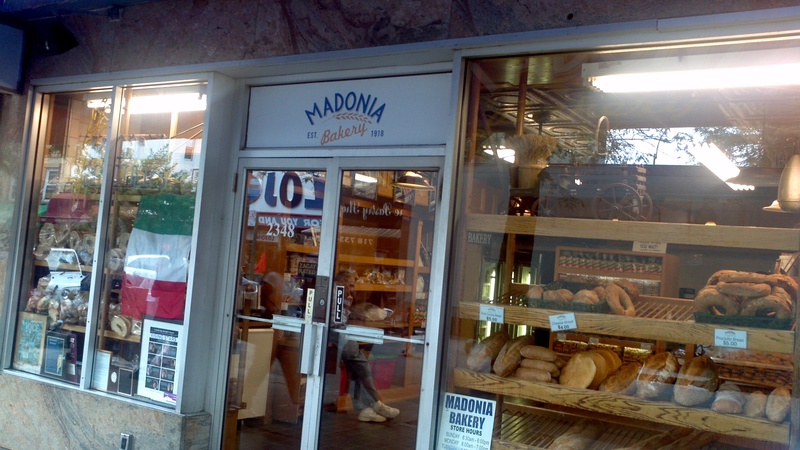 Now this is something you don’t see anymore–a bread bakery. Zito’s and Vesuvio’s in the city closed awhile ago. 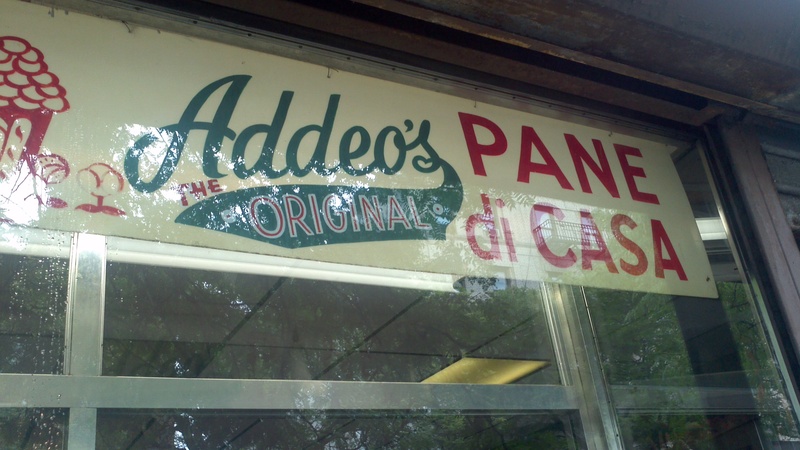 Thank goodness Addeo’s is still here in the Bronx. 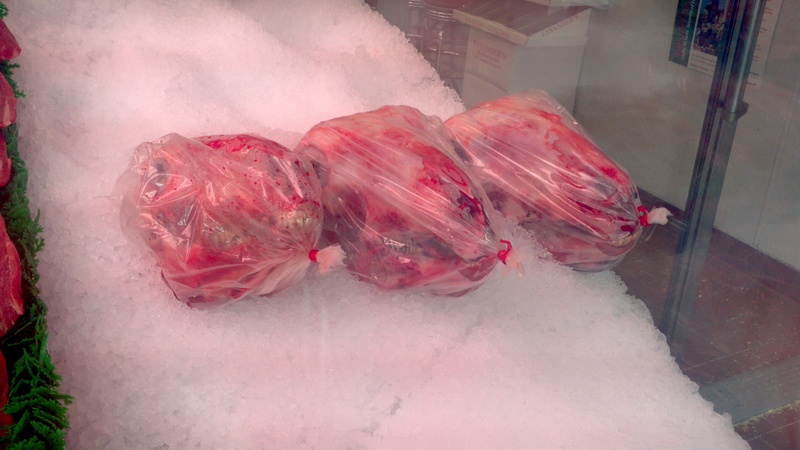 At Biancardi’s meat market, you can still get capuzelle, or sheep’s head. 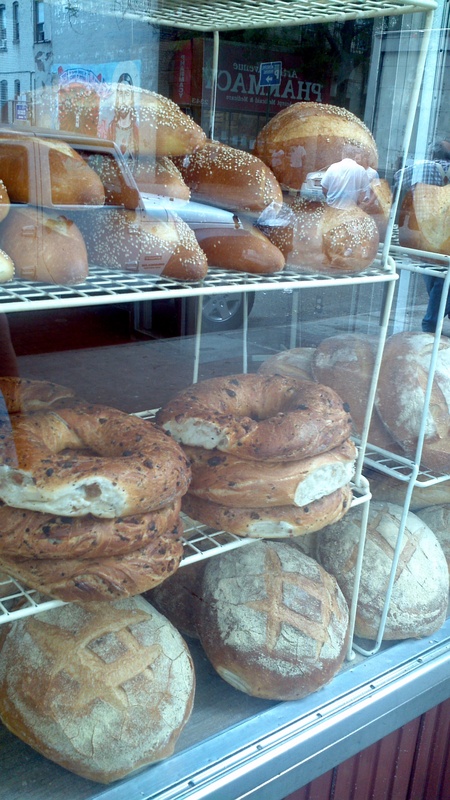 Madonia Bakery has beautiful bread and also fills cannoli to order. I got some yummy cookies for the road. 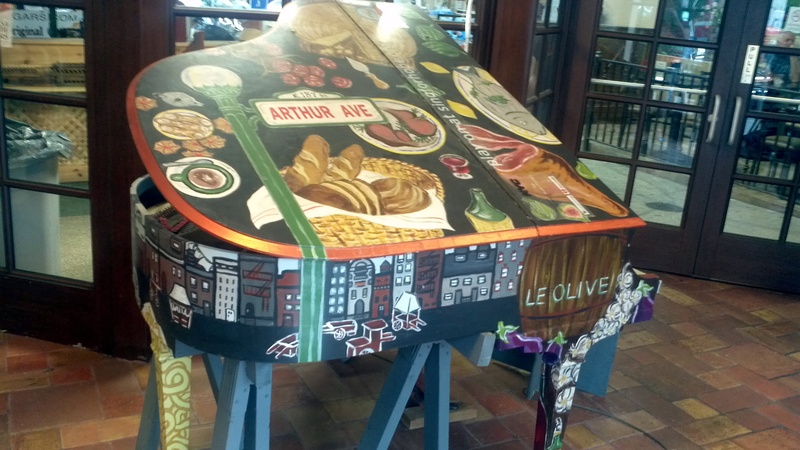 In the middle of the block, there’s an indoor market, the Arthur Avenue Retail Market, with a butcher, fish and produce market as well as products from Italy and Arthur Avenue T-shirts and souvenirs. 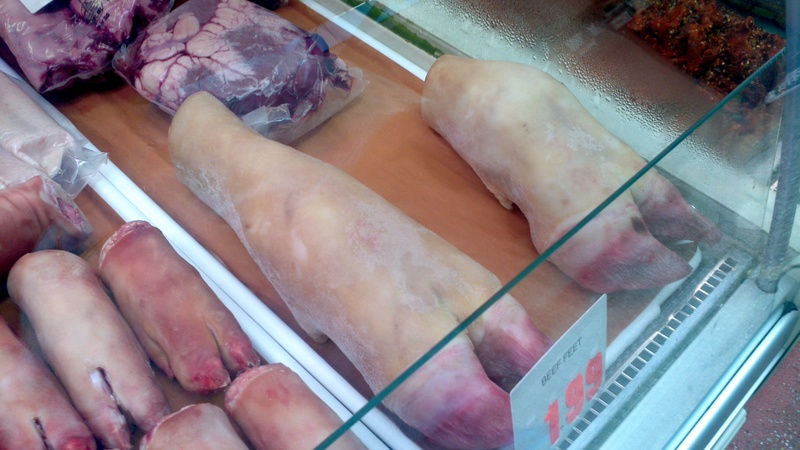 The butcher here had beef feet. I’ve never seen these before and am not sure how Italians use them. 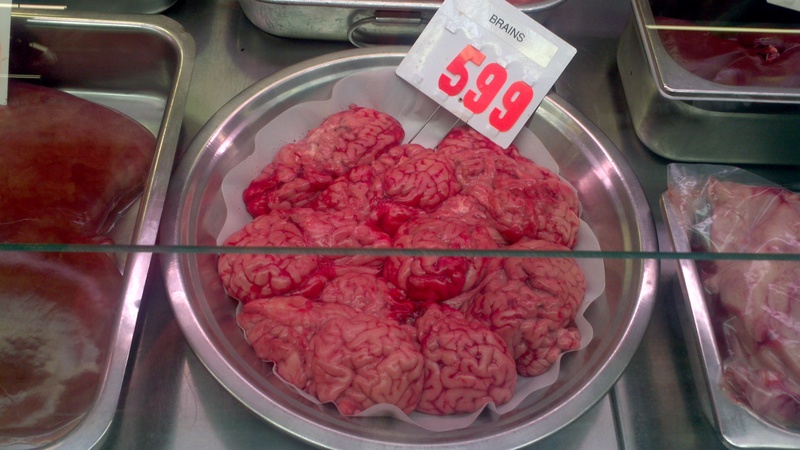 If you’re into offal, this is the place to be. 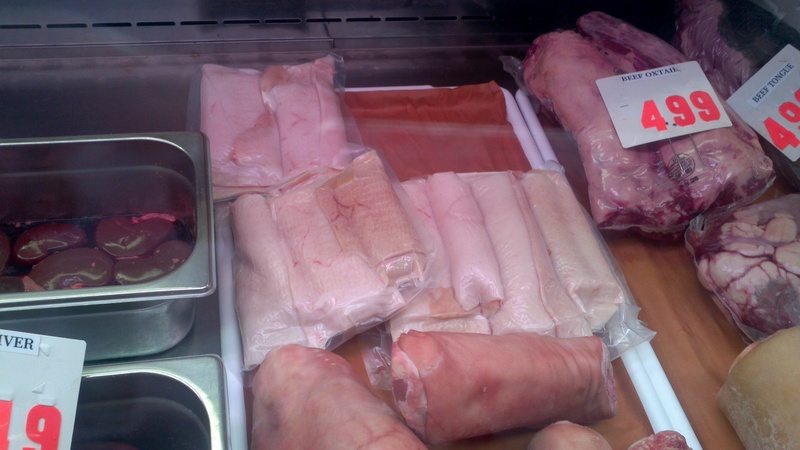 Here’s cotenne, the pig skin I’ve written about, in the rear of this photo. 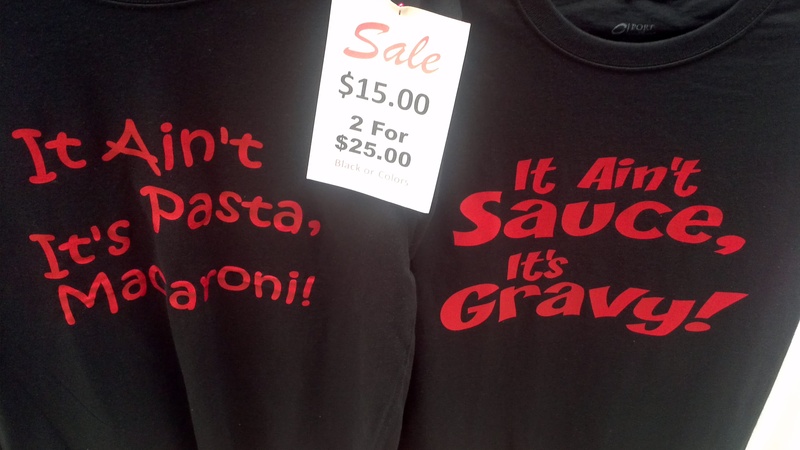 OK, I definitely share the sentiment with these T-shirts. 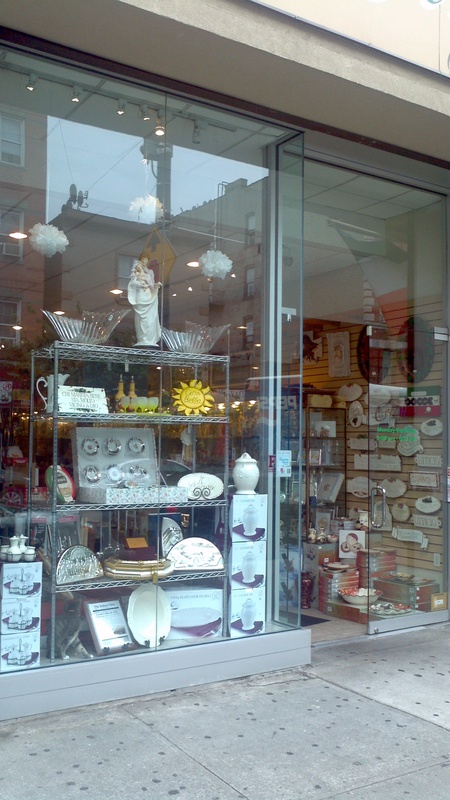 Check out Cerini Coffee, a fun store with housewares from Italy. In case you thought I just had sweets, I did stop for a slice of pizza at Catania’s. What to Eat: pastries and bread from Artuso’s, Egidio’s, DeLillo’s, Madonia’s, Addeo’s or Morrone’s; pizza from Catania’s. 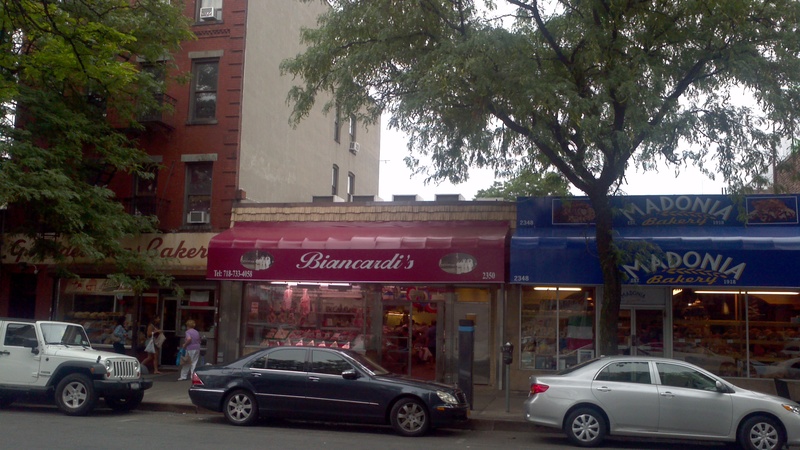 Where to Shop: Marie’s and Cerini’s for kitchen wares; the Arthur Avenue Retail Market for souvenirs, produce and Italian goods; Borgatti’s for ravioli; Randazzo’s for seafood. What to See: Columbus statue at East 183rd Street and Arthur Avenue, Our Lady of Mount Carmel Church on East 187th Street. Today, it’s hard to imagine that Manhattan’s Little Italy once encompassed a much larger area than a few blocks along Mulberry Street. 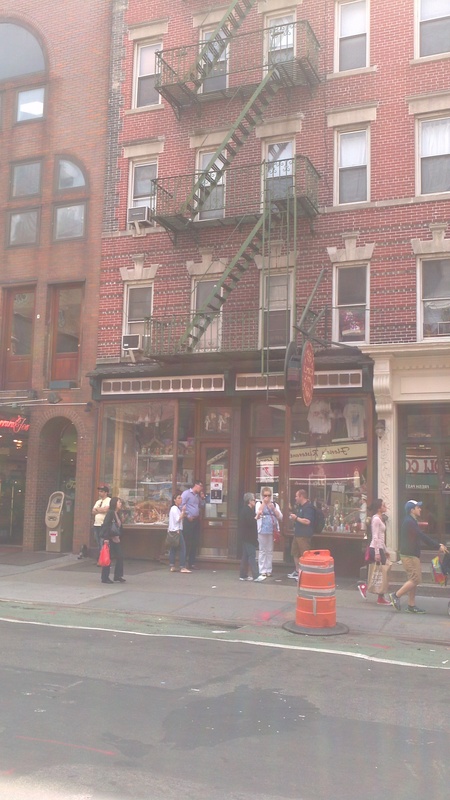 Yes, my family lived on Mulberry Street south of Canal Street close to Bayard Street. And Italians lived as far east as the Bowery. Little Italy shrinks as the years go by. It’s pretty much just Mulberry Street now maybe from Spring to Canal. But that’s a stretch, as most of the businesses along that strip are not Italian or Italian-owned. 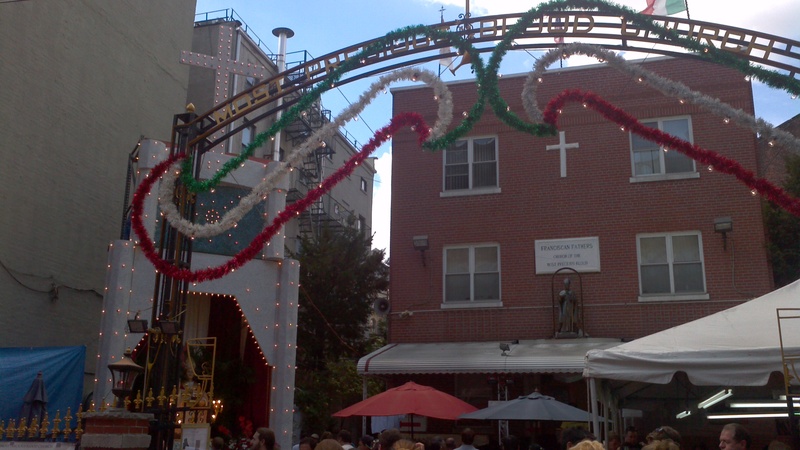 I would say the most Italian section of Little Italy is right off Mulberry and Grand Streets. 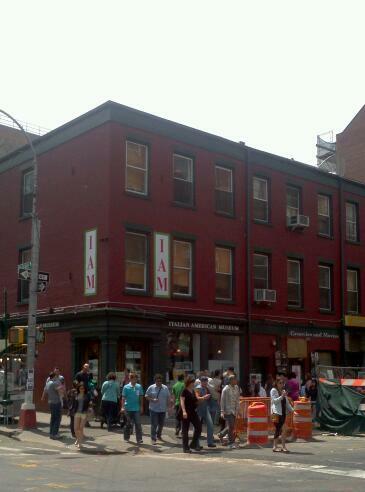 Here is the fairly new Italian American Museum, opened in 2001. The building was the Banca Stabile, a bank founded in 1885 to aid the local Italian community and arriving immigrants. Due to financial reasons, the museum is seeking a developer to build a new building at the site, so if you want to see the historic building, you should visit now. 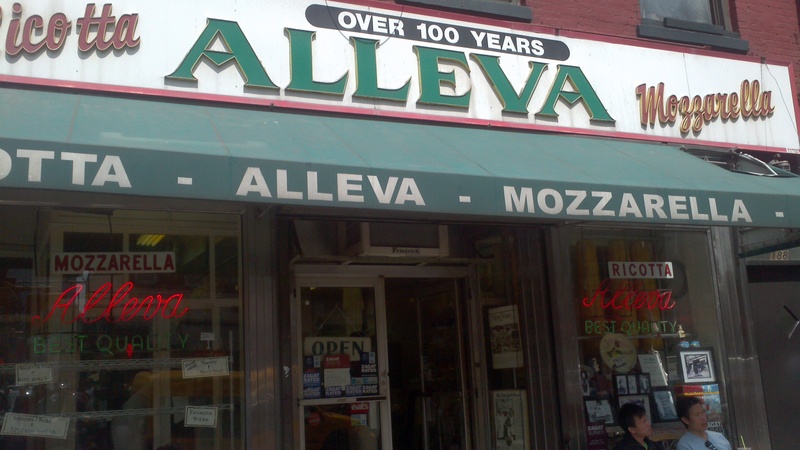 The Alleva Dairy for cheese and meat and other Italian grocery items and the Piemonte Ravioli Co. for pasta. Across the street is E. Rossi & Company, an Italian housewares store that used to be on the corner and that every Italian American from NYC remembers. Here is a great history of the store. The article also mentions Paolucci’s, a restaurant that closed as rents went up. Paolucci’s actually had perciatelli on the menu. The owner introduced me to Goodfellas‘ author Nick Pileggi at the restaurant one night. 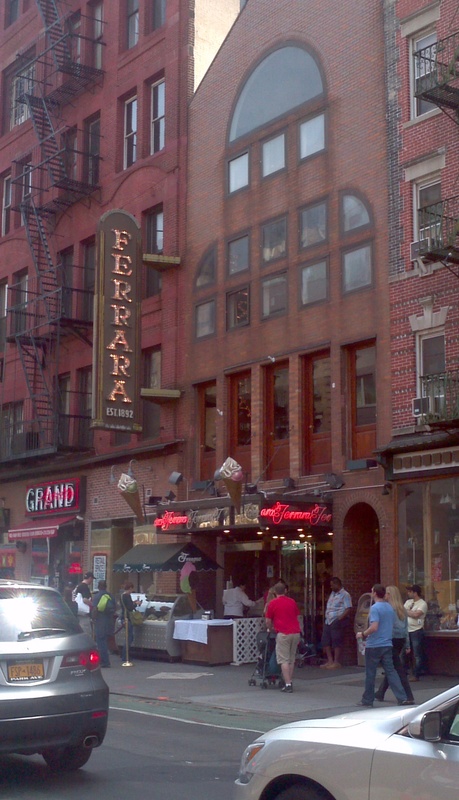 Of course, no stop to Little Italy is complete without a visit to the famed pasticceria Ferrara. Try gelato or pastries, such as cannoli, napoleons, eclairs, or rum babas. 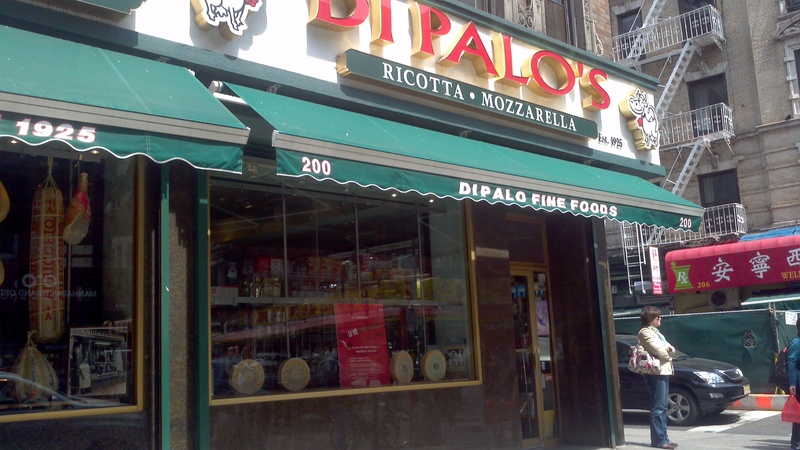 At the end of the block on Mott Street is Di Palo’s, an Italian deli/grocery. Head south on Mulberry Street to the Church of the Most Precious Blood. 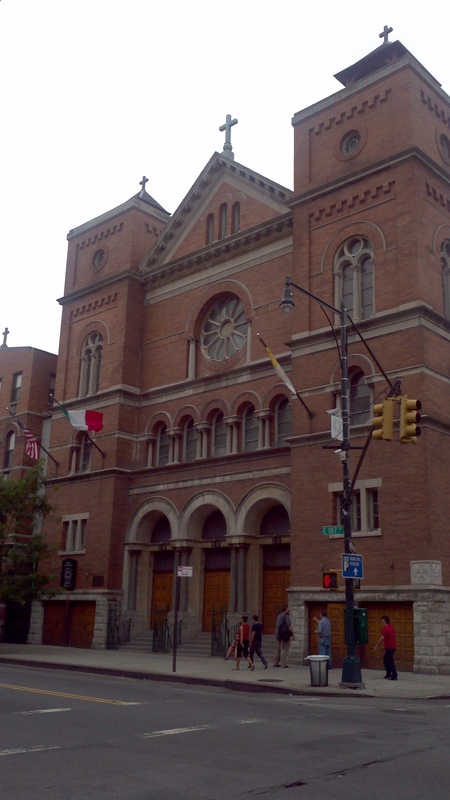 Established in 1891, this church is the site of the San Gennaro festival in September. For coal-oven pizza, try Lombardi’s on Spring and Mott Streets, the first pizzeria in the United States, opened in 1905.